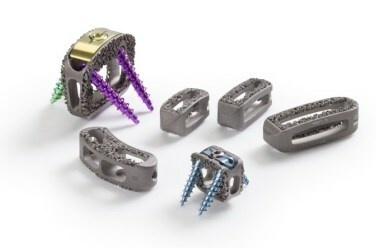 Renovis Surgical Technologies has secured 510(k) clearance from the US Food and Drug Administration (FDA) for its 3D-printed Tesera porous titanium interbody fusion systems. The new posterior lumbar interbody fusion systems include implants for direct posterior (PLIF) or transforaminal (TLIF) approaches in both straight and curved options. Renovis is providing the new systems in various lengths, widths and lengths to accommodate the needs of varying patient anatomies. With the support of Tesera trabecular technology, the firm’s implants are produced by using additive manufacturing or 3D printing. Tesera trabecular technology is a highly porous structure, which enables bone attachment to implant surfaces, as well as supports biologic fixation deep into the pore structure. Tesera SA system secured FDA approval for stand-alone anterior spinal fusion in October 2013, while Tesera acetabular system for total hip reconstruction received approval in April 2014. In addition, the first-generation Tesera posterior lumbar interbody family was approved in March 2015 and Tesera SC system for stand-alone anterior cervical fusion was granted approval in March 2016. Tesera SC is a porous titanium stand-alone cervical interbody fusion system, which features three-screw design and locking cover plate to prevent screw backout. Renovis is providing Tesera SC in two lordotic angles with varying heights and footprints for proper intervertebral height restoration. Based in Redlands of California, Renovis Surgical is engaged in the development of implants for orthopedics, spine and trauma. Image: Tesera’s interbody fusion systems. Photo: courtesy of PRNewsFoto / Renovis Surgical Technologies, Inc.